Cubanita frozen foods corp. has been manufacturing since 1981, as one of the few prime manufacturers of dough for pastries; we are committed to supplying our brand of discos to customers with quality, service, and competitive pricing. 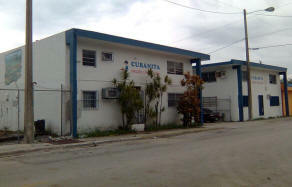 Cubanita frozen foods corp. has a 12,225 square foot plant, located in the heart of Miami’s industrial area, less than two miles from all major highways including Miami’s international airport. Our company has a technological advantage, utilizing state of the art processing equipment that ensures only the highest standards of quality that is expected of in our fabrication of discos. We at Cubanita frozen food is committed to operate under the most stringent measures when it comes to quality. For instance, we have implemented a standard for our facet of operations from start to the finished product. Among those are receipts of customer orders, receiving of raw materials, supplier evaluation, preparation processes, personal hygiene, delivery, and after sales service make up for this standard. Being a family owned and operated business we understand how important it is to provide high quality foods at competitive prices for you and your family. The Barboza family gained marketing experience from many years of hands on experience in the Hispanic market as both manufacturers and distributors for other brands of Latin food products in south Florida.